Kiehl’s is a brand of body, hair, and skin care products with roots that date back an impressive 167 years. In those times, Kiehl’s was just a single pharmacy in New York’s East Village. Today, Kiehl’s has more than 250 stores worldwide and is a multi-million dollar company. In 2010, Kiehl’s introduced a product called Midnight Recovery Concentrate, a nighttime facial oil that is said to give you “younger looking skin by morning”. It works by enhancing your skin’s natural nightly recovery process in order to restore tone and radiance. 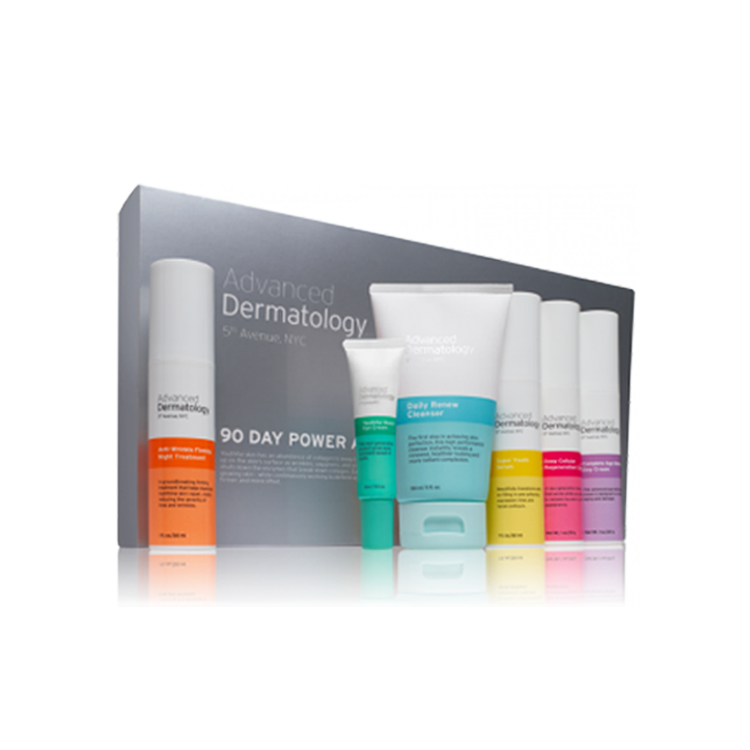 Now it is number one out of the Kiehl’s top ten formulations chosen by customers. So what makes this Kiehl’s product a customer favorite? Keep reading below on to find out! The Kiehl’s Midnight Recovery Concentrate is perfect for those searching for an anti-aging facial oil that will help to repair the skin overnight while simultaneously improving the skin’s firmness and elasticity. It is suitable for all skin types, even oily skin as the ingredients found in this product help to balance the skin’s oil content. Plus, the ingredients in this product absorb into the skin very quickly, so it won’t feel greasy or heavy. Furthermore, the Midnight Recovery Concentrate can help to alleviate dry skin due to a variety of soothing botanicals that help to replenish the skin’s natural barrier function. There are three key ingredients found in Kiehl’s Midnight Recovery Concentrate: evening primrose oil, lavender oil, and squalane. Evening primrose is a flowering plant that blooms every other year in eastern and central North America. When the flower’s seeds are ripe they are gathered and cold pressed for their oil. The oil is high in essential fatty acids (EFAs), which provide the building blocks for cell membranes. EFAs are necessary for human health, but the body cannot produce them on its own. Two vital EFAs are omega-3 and omega-6 fatty acids, which both play a critical role in normal skin function and appearance. 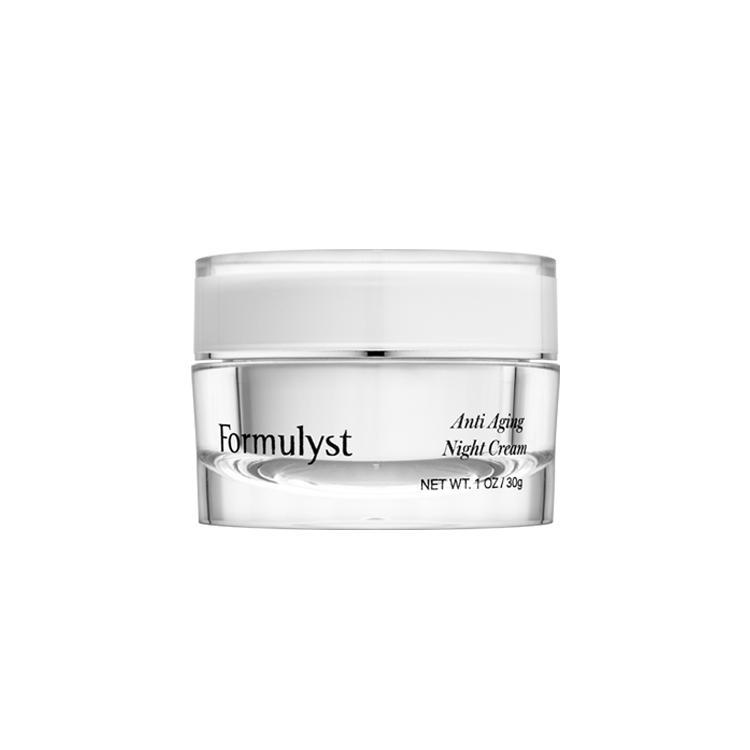 The incorporation of EFAs in the Midnight Recovery Concentrate makes this product excellent for restoring the skin barrier while maintaining hydration and elasticity. The lavender oil infused within Kiehl’s Midnight Recovery Concentrate helps soothe inflamed or irritated skin while helping reduce blotchy skin for a more even tone. This is because lavender oil has anti-inflammatory and antioxidant properties. Additionally, lavender oil has healing properties. It is often used to speed up the healing process of wounds, cuts, burns, and sunburns because it improves the formation of scar tissues. Plus, who doesn’t love the pleasant aroma of lavender? The final key ingredient found within the Midnight Recovery Concentrate is squalane, a signature Kiehl’s ingredient. Squalane is a highly-refined botanical lipid derived from olives, with a high affinity for skin. The human body produces its own version called squalene, but over time the amount the body can make and retain in the skin decreases. This decline in squalene production starts in our 20’s, which can leave skin looking and feeling dry. 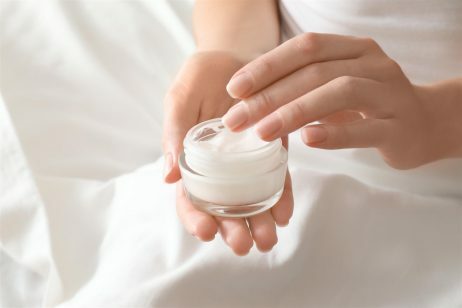 Therefore, by applying a product with squalane, such as the Midnight Recovery Concentrate, the skin’s barrier can be replenished, keeping it soft, supple, and moisturized. Plus, since this ingredient has a high affinity for skin, it absorbs quickly and won’t leave a greasy residue behind like other oils do. 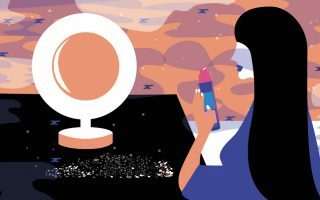 In addition to these three key ingredients, there are plenty of natural, skin-loving ingredients found within the Midnight Recovery Concentrate. For example, this product contains jojoba oil, rosemary leaf oil, cucumber fruit extract, turmeric root extract, and jasmine extract. These ingredients work together to protect your skin cells and restore the skin’s natural barrier. Having an intact skin barrier is important for your skin to look and feel its best because a damaged or weak barrier can allow things like bacteria, pollutants, or other irritants to pass through the top layers of your skin and cause damage. Ultimately, this leads to common skin concerns such as acne, rashes, and sensitive skin. Thus, the ingredients found in the Midnight Recovery Concentrate that help to restore your skin’s barrier will promote an even, radiant complexion. After nighttime cleansing, apply two to three drops of Kiehl’s Midnight Recovery Concentrate on skin. Gently press fingertips to cheeks, forehead, and chin to evenly distribute before massaging into skin. The Midnight Recovery Concentrate can be worn alone or under a moisturizer. Reviews for this product confirm that just using two to three drops goes a long way. The Kiehl’s Midnight Recovery Concentrate has received a very positive response from consumers, with 95% of reviewers stating that they would recommend this product to a friend. What reviewers mention they love most about this Kiehl’s product is that they see results quickly, such as a glowing, even complexion. Reviews from those with oily skin comment that they assumed this oil would make their oily skin worse, but it actually helped to balance their skin and reduce excess oil. Additionally, the majority of reviews point out that this product has a very pleasant, calming scent that is not overpowering. Some even call the Midnight Recovery Concentrate a “miracle oil”. In sum, the Kiehl’s Midnight Recovery Concentrate is a nighttime facial oil infused with evening primrose oil, lavender oil, squalane, and many other beneficial ingredients that help to give you replenished, radiant skin.